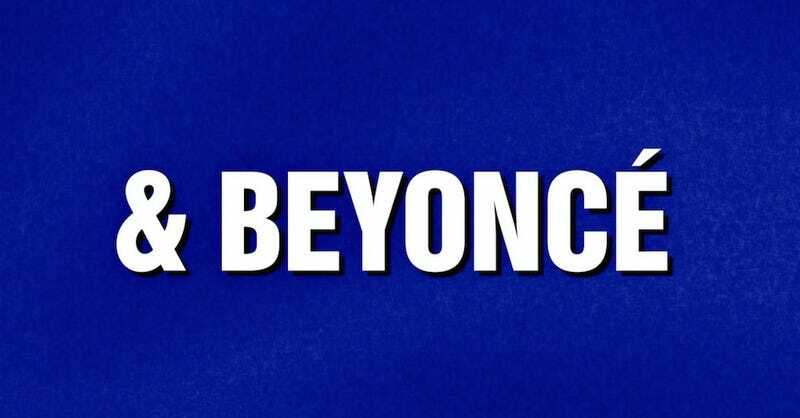 Tuesday night's episode of Jeopardy—which is definitely trolling us with their pop culture categories—featured one about Beyoncé. What is, the song I drunkenly two-step to at parties? This last one stumped one contestant who, according to Mashable, "missed the $1,000 answer, using the incorrect preposition." The correct answers: Destiny's Child, duh, and "Drunk in Love."